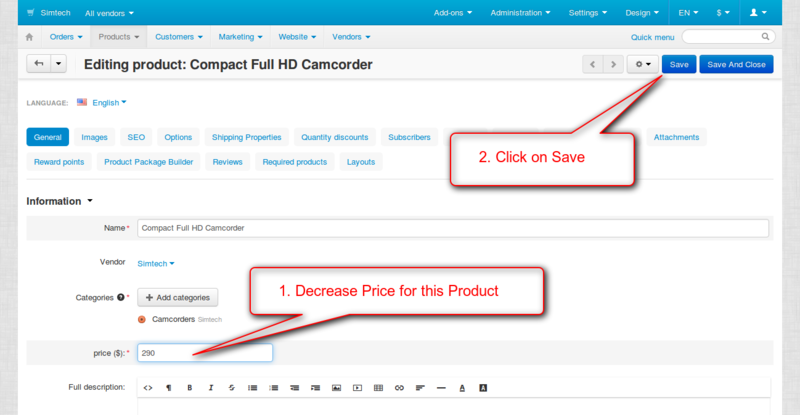 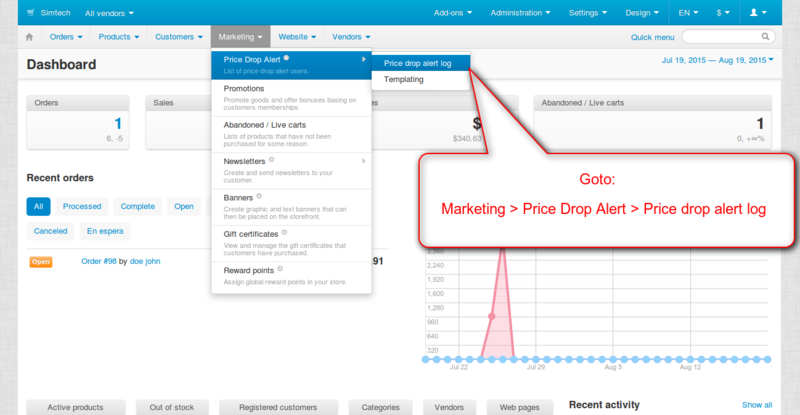 CS-Cart Price Drop Alert:This impressive add-on helps in maintaining customer’s interest in user’s marketplace. 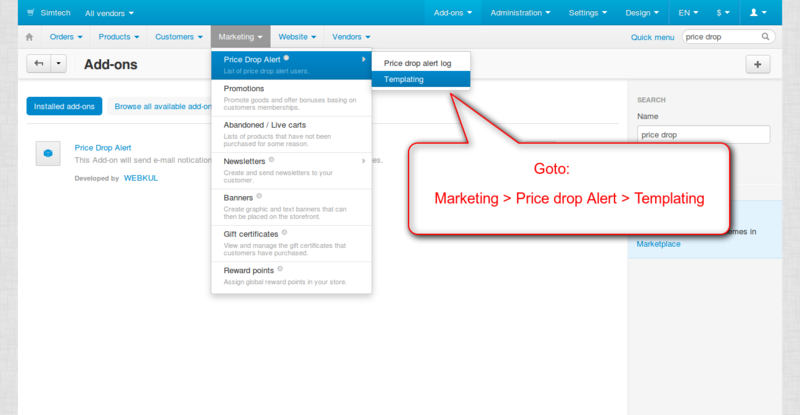 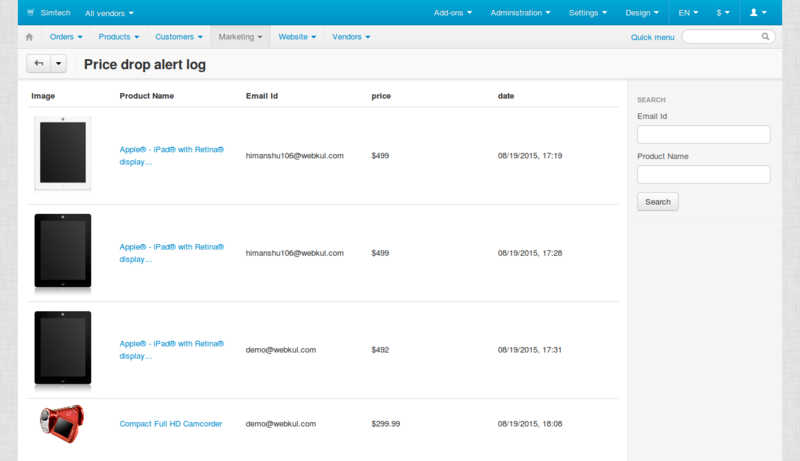 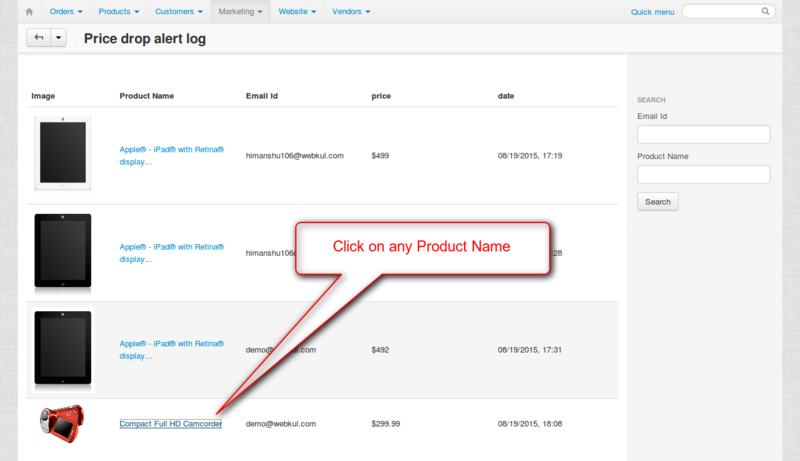 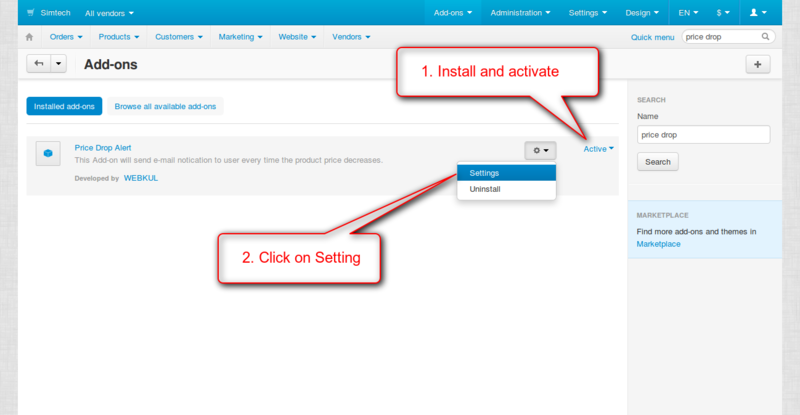 By using this add-on any customer can subscribe to products for price drop alert. 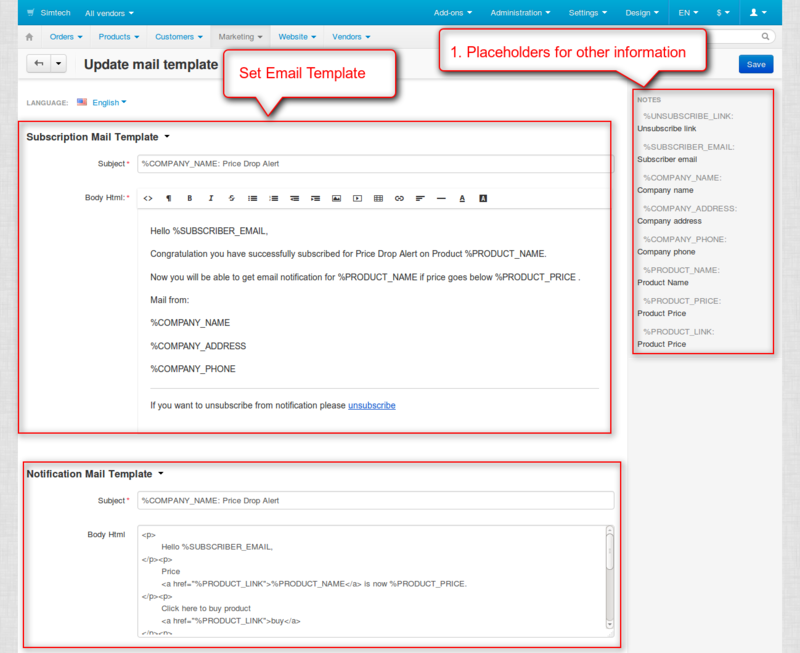 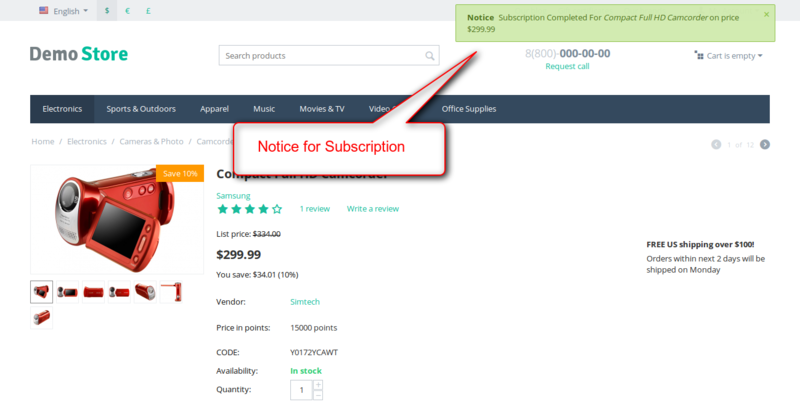 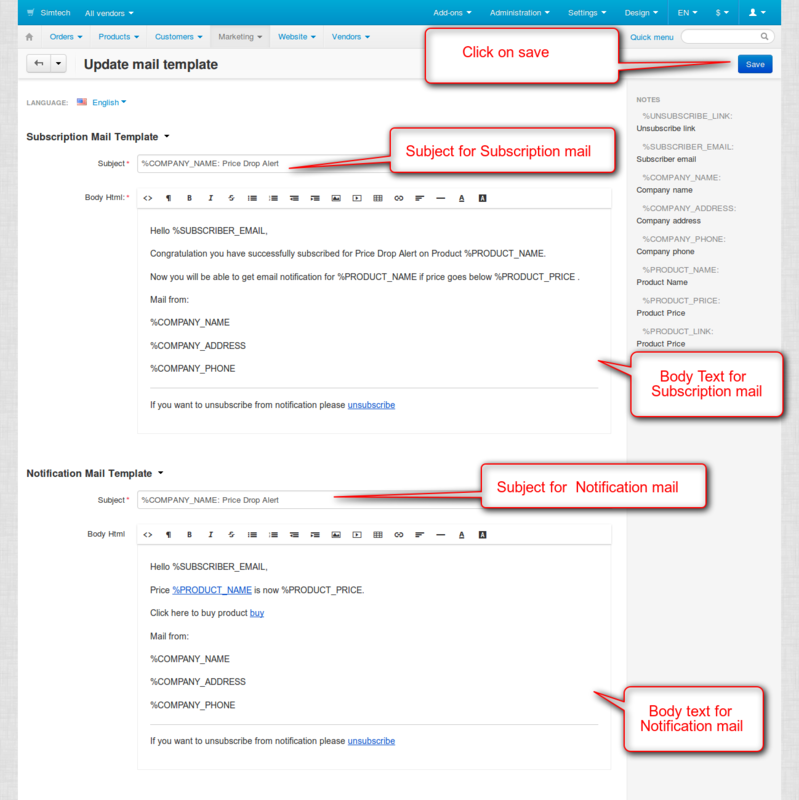 So whenever there is a price drop for a product, an email is generated and send to subscribed customers acting as a notifying mail. 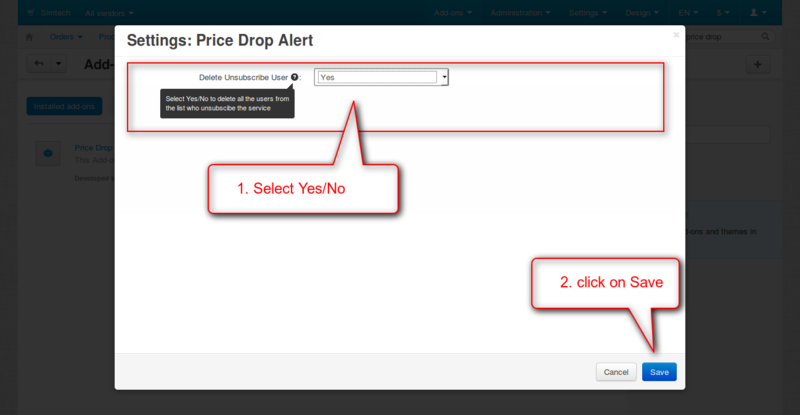 After downloading the CS-Cart Product Package Builder you’ll get one zip file(price_drop_alert_cs_cart) unzip and use it. 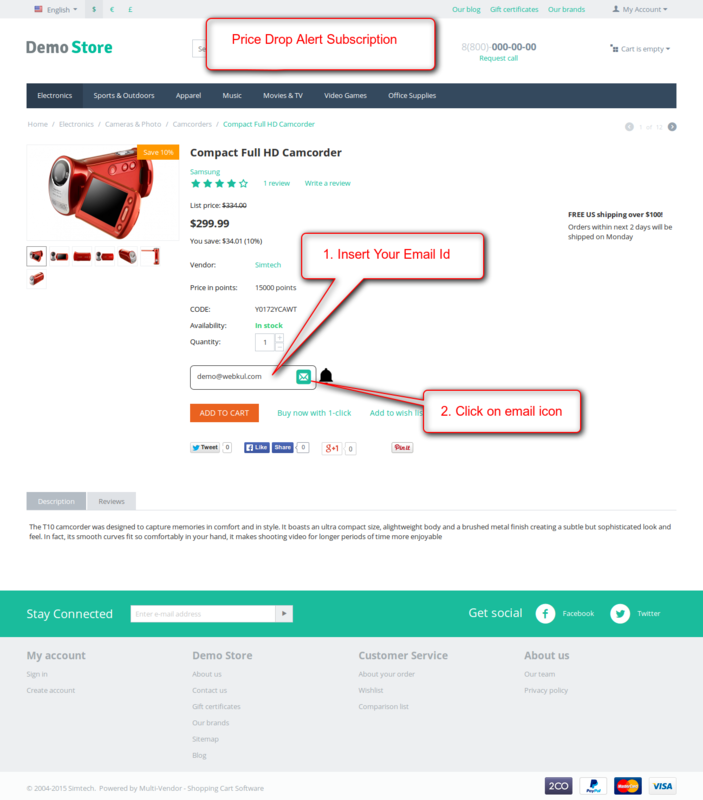 After unzip you will get the price_dop_alert_cs_cart.pdf file, read it carefully and follow it.